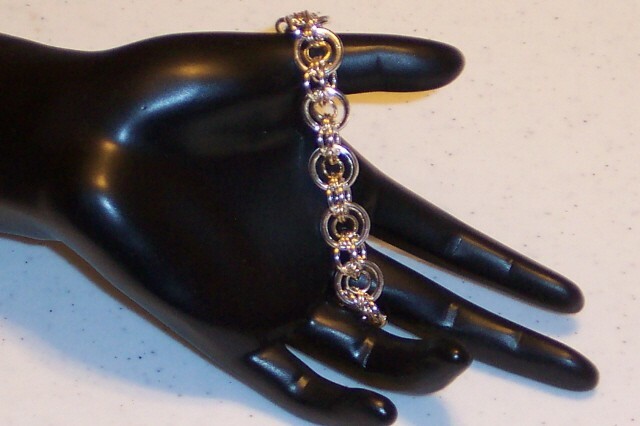 This chain mail bracelet is very eye-catching and enjoyable to wear. The pattern utilizes four different sizes of jump rings and is fun to make. I especially like the two-tone with the larger rings in silver. Matching earrings can be made with as many Bulls Eyes in length as desired. This design was invented by Rebeca Mojica. This is an intermediate chain mail weave. The clasp is not included.